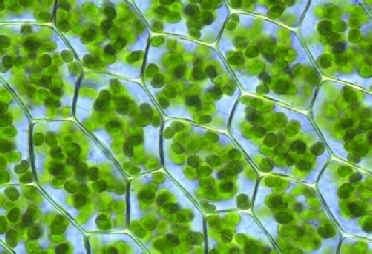 Photosynthesis occurs in the chloroplast's of the cell. These little green organelles are filled with, among other things, chlorophyll, a green fluid which is responsible for catching sun light. We can find Chlorophyll in plants, algae, purple and green bacteria and cynobacteria.